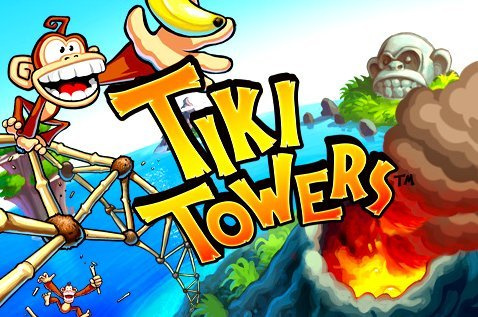 We have to admit to being quite interested in RealArcade’s Tiki Towers. On the one hand it looks like jungle themed World of Goo clone but we were assured from our recent interview with RealArcade that there are in fact a lot of differences that make it worthwhile. With the killer price point of 500 Wii points this could be the best WiiWare bargain yet. Watch out for our review coming soon if it doubt. The other game this week is Fun! Fun! Minigolf by those lovely chaps at Shin’en (of Nanostray fame). Cutesy sports titles like this are usually great fun and for 900 Wii points it should be worth a look. It is certainly one of the nicest looking games we have seen on WiiWare. In our recent interview with Shin’en we were assured that the controls were as good as found in Wii Sports golf so if this is true then we think this will be a must buy for sport game fans. We’ll have our review up in the next couple of days if you are not sure if you should take a chance on this yet. In the lonely world of the Virtual Console there is just one game up for grabs today, but what a corker it is! Yep that right, it’s Phantasy Star IV – one of our favourite Genesis RPGs! Happy Christmas gaming from the WiiWare World team! Good week all round. Except people are complaining about the solo VC game. Quite a good week, I hope Tiki Towers is received well as it looks interesting. I have alot of gaming to do this week and Merry Christmas to the Wii Ware World, VR reviews and VC forums team !!! Like the avatar, Tony. But you almost cut off Skywarp's head. Nice update - here's hoping TT is great! I'll be getting FFM! though in January. I wonder if Ninty are giving us a Christmas gift this year? ADDED: Nah - but we are getting Sonic 2 (Master System) and Secret of Mana on Friday, which you can't argue with really. I wonder when TT will be gifted to me....I can't wait!!! Merry Christmas the holiday where we say happy birthday to Jesus Christ . Looks like you got a great deal over there . Well hopefully us PAloriansget something on boxing day . What, do you mean a GAME, or like, Wii Points, or what? For a game, you guys just GOT Goo, Niki, Orbient, and Sudoku! I know it looks better on the forums and facebook. I almost went with Starscream but settled on Skywarp instead. Yeah, I had to edit my own avatar a few times so that my whole face appeared in the middle. Anyway, Tiki Towers will probably be better than many NES games. Tiki towers costs 0.79 euro on the iphone. I wish nintendo let developers have lower prices than 500. And here I was hoping for Rock N Ball. Oh well. Same here. But I'm not surprised. Fun Fun Minigolf is a pass on my end. But I'm wondering if Tiki Towers is worth trying... I'm quite skeptical, actually. I am very interested to the upcoming review of Fun! Fun! Minigolf, hopefully it is a good game. Well at least there are two decent games today. Unfortunately non of them interest me. Guess I will have to wait and see what comes out next week. Hopefully Fun Fun Minigolf is indeed...fun. I'm not really all interested in Tiki Towers. I am, however, waiting for impressions / reviews for Fun! Fun! Minigolf. Shin'en are known for some quality graphics and audio in their games so I hope the gameplay matches with those 2 categories. I don't care about Phantasy Star or Tiki Towers, but if Fun Fun Minigolf is finally the first good sports game for WiiWare, I'll get it. @mojo25 - The game is not even out yet! Oh, ok. Thanks Versus22 and Tony, I just don't keep up with things very well lol. @mojo25 check the wii Shop Channel the games have been added. P.S. the blue light does not come on when the Shop Channel updates. Just remember that Tiki Towers maker, RealArcade, is also who brought us the horible "Boingz!" I will wait for a review on both of these games! Same situation here, still, nice games. MERRY CHRISTMAS WWW AND EVERY ONE!!!! Just because one game is horrible, doesn't mean anything else they make is horrible. The guys who make hundreds of Barbie games? They made Contra 4. I am awaiting my free copy of the game from RealArcade, once again, thanks for the opportunity. I'll give it a review too (not here obviously though ) when I get the chance. Can't wait for my gifted copy, as well. Merry Christmas! A question for anyone who is receiving the game from RealArcade, did they add you yet? As in they are still grayed out in the address book? Mine is still grayed out. Edit - Nevermind, it's fully added. Happy Holidays everyone. I know that, but according to the e-mail I got from RealArcade, they said that when gifted the game, a message will be sent to Wii Message Board. Anyway, I can't wait, and Merry Christmas to everyone!! I got my gift of Tiki Towers! Merry Christmas and Happy Holidays to all. Well I hear Tiki Towers calling me. Better get back to it. Tiki Towers is prettty awesome guys, a good buy considering it's only 500 points. Oh yea, and the graphics aren't THAT bad, they're just kind of blocky...oh well, TT was free for me, so WHO CARES? Yeah, haven't been on the forums for quite some time. Oh well, hope you guys enjoy your free game. I'll await the review for the mini-golf game to see if its worth it, but I think it'll be a later purchase cause I am probably going to get a friend her first download game with her new Wii. I say that MaBoShi's Arcade must be released next week. Also, it would be exactly 4 months since Europe got that game. A decent update I think, I hope Europe has a good one next week. FFM looks good and Tiki Towers may be worth a look into. Good games this week! Even the lone VC game is good. I was kinda hoping for Animales De La Muerte, but oh well. Not my cup of eggnog (lol) though. Guess I'll wait till next week ... or just buy some other games. GIVE ME SOME SUGGESTIONS PEOPLE! Judging from the answer in the High Voltage interview about Animales, I wouldn't look to get this game any time soon, and I'm guessing it's likely not even a WiiWare title anymore. @Versus22 - "I say that MaBoShi's Arcade must be released next week." I have a sneaking suspicion that you will have your wish come true! I just finished writing something pressed backspace to delete a letter, and it went back to the previous page and erased it all. Also, why is everyone talking about MaBoShi like its the one game to rule them all? I though it sucked? Ah, well. Thank you for the "Merry Christmas", and a Merry Christahanakwanzaa to you to! As for the games, I don't give a ** about either of them. While not a mind-blowing week, it sure doesn't seem like a disappointment. I look forward to hearing how these games did. With Tiki Tower's price point, I might actually get it if it gets good reviews despite it being a puzzle game. @Sycoraxic (way back at comment number 10): a game, because last year the big N released Donkey Kong Country 3 as a Christmas present (although we still had to pay for it, and there was no other update that week). Either way, it would still be nice, although I suppose new Wii owners going online on Christmas day would probably be quite happy to see World of Goo and Niki Rock 'n' Ball on the title screen of the Wii Shop. Just downloaded my gift of TikiTowers! Will post my thoughts ASAP! Oh well, I have time. Looks like another good double update for America. funFUN is out and Tiki looks like a steal, I liked the stress levels and rigid structures you saw in the trailer. Can't wait for the review. Although that comment might seem like this game is very difficult, it actually adds more fun, and even though the game has around (I think) 30 levels, this trial and error of building towers should make the game last for a while. I think that this should be a good game to buy with any leftover Wii Points, especially because of the low price. Have you checked the Wii Shop Channel? Because I thought a message would appear on my Wii Message Board, but then at around 1:00 pm, I checked the Wii Shop Channel, and it said that there is a gift awaiting me. My wii flashed blue when I was gifted. It depends on your wii settings. IF you receive no message, go to the wii shop channel and see if its there. Well it's definitely better than I thought it would be. It's still not in the same ballpark as World of Goo but it's a fun, cute little game in it's own right. And then price comes into things. 15 bucks for World of Goo was an absolute STEAL and I believe 5 bucks for this game is a good deal as well. 15 for goo? 5 hours? not a steal. .
No it's not just a steal. Those 5 hours are some of the top-quality hours gaming has to offer. Not to mention they give incentives to go back and play some more. World of Goo could have cost 50 bucks and they'd still be generous. I've seen some Tiki footage, and the physics are weird, not earth like. The structure someone created had a pivot that made it unstable and instead of collapsing, it was perfectly OKAY, standing still, with monkeys climbing up and down. Incredible! yeah while world of goo was short, every minute of it was pure fun, gaming bliss. haven't had that since i played portal. Please wise Wiiware people, I am about to get a 2000 Wii Points Card for Christmas. I was pretty sure that I would get World of Goo, but since I got this game for free, I'm not sure I will be needing WOG. Should I get it? Or should I get something else??? well what games do you like, no point us suggesting something because unless we know what you like we are likely to suggest something you might not like. @mojo25 - I'd still get World of Goo personally. It is actually a lot different to Tiki Towers and is a far more polished game. Toki Tori or LostWinds would also be good choices assuming you don't already have them! ok anyway if your not so sure that WoG is gonna be in your liking then buy MM9, Fun Fun mini golf, space invaders get even, one of the art styles, Mega man 1,2, or 3, or super mario RPG. But if you do buy it then get a NES VC game or My Aquarium. Oh and do you know what art style game I should get next? I already have Orbient but I was wondering if Cubello was good or not!? @mojo 25: Well, since you asked nicely and twicely . . . If you get bold and go for FFM, let us know how it is, will ya? And you should go for FFM . . . it's no use playing it safe this close to Kwanza. Ok, thanks everyone. I think I'll still get WOG since I checked some gameplay videos on Youtube. @ shadow626: Thanks for all of those games. I think that if I do buy WOG, then I was planning to get Megaman 2 or 3, or Super Mario 3...or save up for something else. And sorry! I haven't gotten any of the Art Style games, so I wouldn't know. @ indenmark: I don't know...I have never been that into Tetris games, so I don't think that I'll be getting Tetris Party, considering that there are many free Tetris games all on the internet. Thanks anyways! Oh yea...I'm very slow, and too lazy to search, so what's FFM? lol...I've probably heard of it, but I'm just dumb. Oh, and did you know you can d/l the first level of World of Goo for the PC? That'll give you a nice feel for what you'd be getting into with it. Oh, and if you like puzzle games, have you considered Maboshi? I know I have. And how can you be really into puzzle games and not like Tetris? That would be like a . . . well, I'm sure it would be like something. @inden-maboshi isnt out in NA yet. @mojo-Lostwinds is 3~hrs long but its really fun and has nice graphics. Most people will play it multiple time (i have played it 3 times) and you can compete ith your best time at vc-forums! (see lostwindspage /lostwinds review comments for link. Puzzle games: Magnetica--played this so much, its really great. its like zuma if that helps. and toki tori is also good. all three art styles games a good but different. rotohex, is really for those that like tetris in endless mode. constantly doing the same thing but getting faster and faster. orbient, hmm dunno who it is for, but it's quite a good game, but not one i play formm more than 4 stages at a time normally. cubello, my personal favourite, great puzzler. heads up megaman 2 is too easy but still fun and mega man 3 i heard is sorta hard and super mario bros. 3 is spectacular. Um, I believe that's "Cough"
If you have any combinations for more possible lists, please post...again lol...thanks everyone for your help! OR HERES AN IDEA, SHOULD I WAIT UNTIL CAVE STORY COMES OUT?????? Cave Story isn't coming any time soon. EDIT: Oh gosh...I just realized that I have only about 100 blocks left on my Wii...that's not enough for WOG! Hey people, when you temporarily return something to the Wii Shop Channel, does the memory of that game become erased? Because I'm planning to return the Nintendo Channel and Everybody Votes, along with Defend Your Castle and My aquarium just to create some room. Ok thanks guys! You guys (and/or girls) rock!! @shadow262: Thanks for letting me know that! I just checked My Aquarium's block size, and it's 227, so I think that I'll have enough room for WOG and SMB3. If not, then I guess I'll have to say goodbye to Everybody Votes channel. After all, I don't even use it lol...thanks again!! Fun! Fun! Mini Golf is a great game and easily the best mini golf game on the Wii. I am having a hard time getting into Tiki Towers. Maybe I was expecting too much out of it. Also, I am a little confused by the two player mode. I thought it would play more like World of Goo's co-op play. @Pablo17: Please, more thoughts about Fun! Fun! Minigolf! How's the control? The difficulty? The physics? @Mojo25: If you're getting World Of Goo, then you could spend the other 500 points on Boulder Dash for the C64. Oh wait a second - how silly of me! You don't get C64 games in the US! Well, if you want a new game on WiiWare, there's always Pit Crew Panic - oh wait a second! PCP is 800 points in NA isn't it? How silly of me. Well... you could get... the internet channel? In fact, no, here's a better idea: wait a couple of weeks and get Niki Rock 'n' Ball! That game is pretty good. @chunky_droid: Hey, chunky_droid, have you checked the Wii Shop Channel yet? Because I thought a message would come to the Wii Message Board, but nothing came, so I checked the WIi Shop Channel and it said there was a gift awaiting me. UUGH Oh my, now I'm thinking of getting Megaman 9 and LostWinds...TOO MANY GREAT GAMES!!! Should I get Megaman 9 and LostWinds? Or World of Goo and Super Mario Bros. 3? @mojo25: I checked the Wii Shop Channel and nothing caught my eye there, unless I completely missed it. Does it pop up on the Start Shopping page? Oh ok. I just checked out Sin and Punishment, and man it looks awesome. It's just that I was so excited for World of Goo, I just can't not get it. Thanks anyways for all of your help. LOL! Look at that beast of a comment! And you thought Mojo sounded hyper.... Go Yumyumkid!! Wow that took me 8 minutes to read every single comment..
We need zelda on wiiware - instabuys. @VALERHU. It's possible to hit the ball straight, just need to time the shot perfet. Or use the slider meter to curve your ball around objects. Think this is called draw or fade or something? Not a golf player, but it seems thats where they were going with this feature. Well, curving a ball around something is nice, but only professional players can do it in real life. Can't go in depth cause im on my wii..
mojo, you should get lost winds and bomberman blast. But thats just imo. I down loaded mini golf as well and really like it. Fun! Fun! Minigolf is a quality game and worth the 900 points. Ok wrote that last nite and have played a bit more since. I was completely wrong on that draw/fade thing. Your just trying to line up your shot with the meter. And you can also take all the practice swings you want. Just swing while not holding A. I was pretty tired last nite, lol. Anyway I am still impressed as Hell with this game. I think this company is on to something here. Let's see more courses! Zelda on WiiWare would single-handedly destroy the service and ruin Nintendo's reputation. Bad ideas like that make me happy Nintendo only listens to their fans a little bit. ...It's not like it has much competition. There's only one other mini golf game. By Zelda on WiiWare do you mean a little Zelda type mini game? B/C if you do try Link's Crossbow Training. I bought it used for $2.50. Not the Zapper, just the game. After more play time, I'm giving Tiki a solid 6. If anyone's interested in this type of game, definitely play World of Goo first. This is a fun little game for 500 points, but World of Goo is an absolute beast for whatever the price. And that Indian Chief (in Tiki Towers) saying the same thing over and over every two seconds is the most annoying character since Navi. For Fun! Fun! Minigolf I don't see any options to change it to left handed. Not much in the options department, would like to be able to set it so the whole coures takes place at night. There's a few Mini Golf games out for the Wii. And Tiger Woods PGA Tour 09 All Play has an 18 hole Mini Golf course that is ridiculously hard but fun if you like how that game handles. People aren't going to buy Tiger Woods for the Mini Golf feature though and the other games aren't that great so yeah, don't think it has much competition. @Yumyumkid...thanks for posting the rest of the mini golf games for the Wii. I seem to remember there being one in Summer Games as well but it has been a while. Having played (rented) all of the other Mini Golf games on the Wii, I think that Fun! Fun! is the best. I can forgive the lack of options considering how well the game plays. Yeah, between all the party-esque type games for the Wii I think there are a ton of mini golf mini games spread throughout them. @Chunky-droid- Did you ever get your TT gift? It's not that it's bad, it's just not that great. The game is ugly. One of the lesser looking games on WiiWare. The IR is a little too responsive. A slight jerk will cause the camera to go crazy. The game play at times is overly complicated. You have a guy throwing fire balls at your work and you have to try to ignore him, raise banamana, and continue building your structure. World of Goo's selling points are it's graphics, easy pickup-and-play game play, and it's story. Tiki Towers delivers all that in a much lesser extent. It's a fun game and worth the 5 bucks but people are better off paying 15 bucks for a game that does everything better. That's fine as long as it's not on WiiWare. Zelda on WiiWare would destroy the service and Nintendo knows this. Nintendo knew Pokemon on WiiWare was a risky move so they put it out as soon as the service was just starting. They know they couldn't release Pokemon on WiiWare right now. Yes, I now agree that TT deserves a lower score than I thought before. After the first island, things get too complicated. There are too many things that you have to keep in mind. I haven't played WOG, so I really hope it is much different (different, as in better) than this game. I would probably give it a 6/10 as well. "And that Indian Chief (in Tiki Towers) saying the same thing over and over every two seconds is the most annoying character since Navi"
@Chunky-droid- There should be someplace on your download site that tells you wether or not your specifically setup to recieve gifts. Also did you make sure that you register RealArcades Wii friendcode number? Make sure that you didn't make any mistakes on yours(when you sent it) or theirs? RealArcade's name is in black now instead of grey so that's set up fine. And my Wii is ready to accept gifts. They just don't love me! EDIT: Actually does it matter if the console's registered in Canada instead of America? They get the same WiiWare and VC updates so I wouldn't think so. And a Canadian on here got a free copy too. @chunky-Could be that you simply missed the deadline to reg them or something and they only sent the gifts then. Sorry, man. Chunky-Droid- In black JUST now? When did you register them? If you're in canada I'd set it for canada or vise versa for US. You did get an email right? @chuky_droid: look on the bright side, at least it's only 500 Wii Points! @AlexSays: I see your point, although surely they can't go wrong with a Phantom Hourglass style multiplayer/online game a la Pac Man Vs? No it was black last Friday about 20 minutes after I registered their Wii. And yeah I got an e-mail, as far as I know I was second in line after WarioFan63. @chunky_droid - They get the same WiiWare and VC updates so I wouldn't think so. And a Canadian on here got a free copy too. That was because I switched my region to the USA when I heard about this news from RealArcade!